Black Coffee Radio is the brainchild of Houston media darlings Craig Hlavaty and Justin King, both steeped in local culture since birth. No topic is off limits, and nobody is safe when these two hit the air Saturdays at 11 p.m. on KPRC AM 950. Cripples, Bastards & Broken things is a Game of Thrones podcast featuring super fans that just happen to be talk radio personalities from Houston, Texas: Theresa from 94.5 the Buzz, Jay from Sunny 99.1 and Ken Webster jr, host of Pursuit of Happiness Radio on KPRC 950. We recap and react to the latest episode and share our ... See More predictions for the rest of the series. Join in! The Home Cents program is heard Saturday mornings at 9 on KPRC-AM 950, Houston. Houston P.A. is a weekly program of conversation hosted by Laurent Fouilloud-Buyat (just call him Laurent, pronounced low-ront). Each week, Laurent invites you to meet the people who make Houston unique: the museum curators, scientists, writers, dancers, musicians, civil servants, the neighbor who used to be an alcoholic but is now in ... See More recovery, and the one who has donated two gallons of blood in his lifetime ... they're on Houston Public Affairs, the show about the people of Houston. 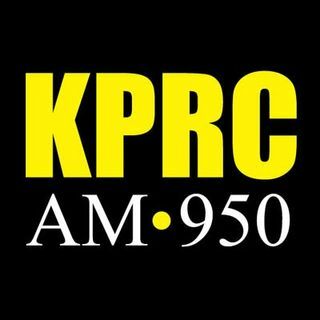 Michael Garfield's High Tech Texan program is heard 11 am to 1 p.m. weekends on KPRC AM 950. The Mission of Road to Hope Radio is to reach out to our Military and Veteran community and their families with real, practical help. We understand that when a person serves in the military, their family serves along with them. Our show is designed be both informational and inspirational. Road to Hope Radio is hosted by David Maulsby ... See More Sunday nights at 6:00 PM on AM 950 KPRC. You can also like, follow and send us question us on Facebook. Join us on the Road to Hope! STA's Luke Patterson and Michael Smith host an educational and informative show focused on helping listeners build and maintain their personal wealth. Jesse Kelly is a Marine Corps combat veteran and former congressional candidate in Arizona. He's a regular contributor to The Federalist and host of Jesse Kelly Brief. He has almost three years of community college credits. He's a husband and father and he's proud to call Texas home. Jimmy Barrett comes to KPRC via Detroit, Mich., and Richmond, Va. where he spent several decades doing mornings. Jimmy was also the longtime public address announcer for Michigan Men's Basketball and the Detroit Tigers. He loves sports and is excited to now be able to root for the Astros, Texans and Rockets. "There ... See More aren't a lot of places like Houston," he says, "and we are very excited to be here. You can't choose where you're born, but you can choose where you want to live. We choose to call Texas home." Charles Adams is a sixth generation Texan and the namesake of his great grandfather Texas Ranger Charles D. Adams, Sr. He dedicated fifteen years to public service in Harris County as a police officer, briefing attorney, and presiding municipal judge. He completed his undergraduate education and earned his Juris Doctor while serving as a ... See More patrol officer and, subsequently, earned his Master of Laws at Harvard Law School. Prior to his appointment as a judge, he sat on the board of the Houston Police Foundation and the Community Nutrition Institute. He maintains a personal injury and criminal defense practice and a financial advisor recruiting firm in Pearland, Texas. Whats on Tap Radio is an award winning radio show covering beer and the culture around it, heard Sundays 3-5p on KPRC-AM 950, Houston.. Beer Guru James Simpson and Beer Logic Chad Pilbeam bring news from the beer world, break down beer styles and what foods pairs with it, homebrewing and they talk with brewmasters/prominent players from ... See More the beer industry. Grab a pint and enjoy. Cheers!